American astrophysicist Robert Woodrow Wilson developed an interest in electronics and radio transmissions as a youngster. In his high school years he earned spending money by repairing radio and television sets, built his own hi-fi system, and helped ham operators build and fix their machinery, though he says he lost interest in such devices as soon as they were working again. 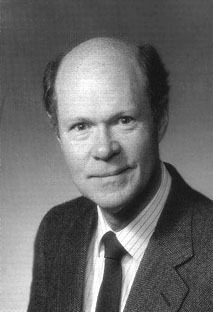 He studied under John G. Bolton and Maarten Schmidt at CalTech, worked at the Owens Valley Radio Observatory, and was hired at the Bell Telephone Laboratories at Holmdel, New Jersey in 1963, where he was the second radio astronomer alongside Arno Penzias. When budget cuts were announced, and Bell decided it could only afford one radio astronomer, Wilson and Penzias offered to cut their paid work to half-time, and both continued their work there, using an advanced radio telescope to monitor radio waves from the Milky Way galaxy. In 1964, they discovered a consistent background buzz received from all directions, which they first suspected was a mechanical problem or a reflection of terrestrial broadcasting. Instead, further research revealed that they had discovered cosmic background radiation, a quiet but consistent remnant of the "big bang" that began the universe some 15 billion years ago. They were promptly returned to full-time status, and both scientists were honored with the Nobel Prize in 1978, sharing the accolade with Pyotr Kapitsa, who conducted unrelated research into low-temperature physics. Wilson's later work has included millimeter wave astronomy, measuring the sun's radiation in the earth's atmosphere, quantifying interstellar isotopes, and investigating the properties of molecules detected in open space.